A mark that causes its’ bearer to die within a few days. 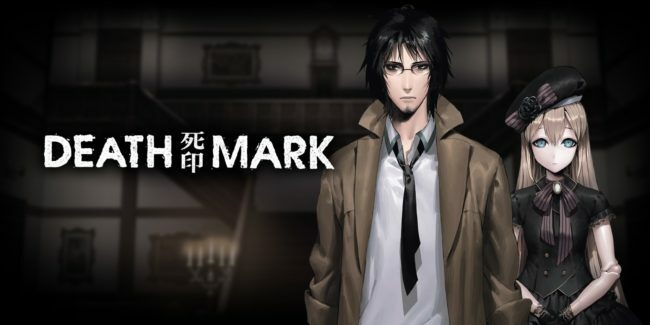 A paranormal rabbit hole that leaves players in suspense, Death Mark is a perfect addition to Visual Novel horror. Spirits will never be the same again, once you face these monsters. A Curse or a Sign? Death Mark takes place in a small town called H in Japan. 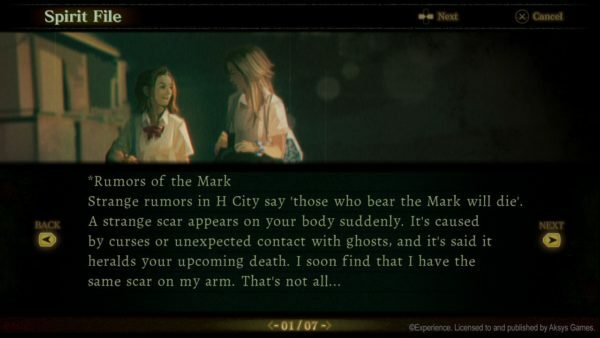 The game starts off with two girls discussing the rumor of a suspicious mark known as the Death Mark. The mark is said to resemble a dog bite. The bearer of the mark apparently loses their memories and dies within a few days after receiving the mark. A man overhearing the conversation makes his way to a mysterious mansion with the same mark on his wrist. The mansion is where players begin their journey through the dark side of paranormal. Players learn that the mark is caused by evil spirits that hold grudges for the living. Harboring hatred for the living, these spirits haunt various locations around H city, and it’s up to the protagonist to release these ghosts from their grudges. Upon entering the mansion, the protagonist has little time to seek out the ghost that cursed him. But the mark is not limited to one person. Many answer the call of the mark and players have the option to partner up with other mark bearers. These mark bearers are also victims of a spirit’s grudges. And with their help, the protagonist can solve the mystery of the mark. Life or Death: Which Do You Choose? This game is a strong visual novel from the start. There is plenty of information for players to internalize as they begin their investigations. With the best person to help start the mystery solving is Mary, a living doll, who resides in the mansion. Mary offers-up the initial rumors of certain spirits and also provides summaries during the middle of investigations. All of this information lies in the individual spirit files, which you can access while exploring locations. What makes Death Mark such a strong visual novel is its interactivity. The game features two distinct dialogue choices throughout. One is the regular dialogue, which helps progress the conversation between characters. The other is life/death dialogue, which relies on Soul Power. Soul Power acts as a timed clock for players as they must decide quickly and correctly. One choice can lead the soul power to decrease and possibly even to zero if the choice is deadly enough. 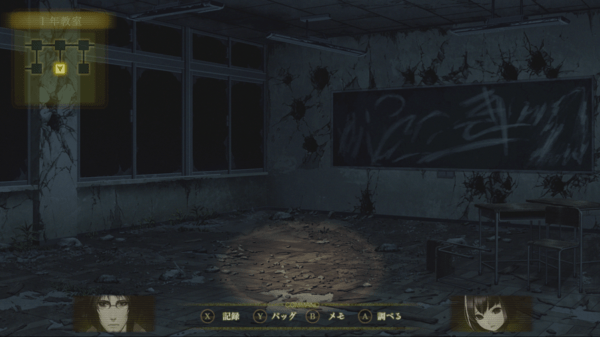 Players also have the ability to use a flashlight in Death Mark. The flashlight moves a beam across the screen, which helps players find hidden clues and items. However, the light only brightens the room a certain amount and leaves small glints to signify clues or items. Making for a perfect horror atmosphere. Furthermore, much of the game is immersed in darkness and often in an isolated location at night. A pair of good headphones are also a great accessory for Death Mark. Sounds are in-tune with a proper horror game feel. Knocks on doors are often heard while in the quiet cabin in the woods. As well as, the laughter of small children echoing in the walls of the elementary school. 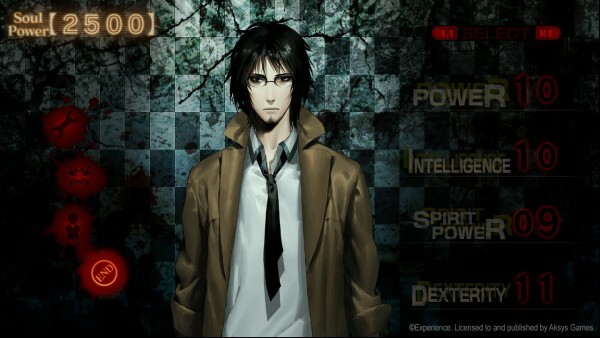 It is quite frightening and shows just how scary the game can be, despite being a 2D visual novel. Another positive for Death Mark is its balanced approach. It does not rely too heavily on jump scares. Although, the jump scares it does use are quite effective, often striking at the perfect moment when a player least expects it. Additionally, paranormal sightings are also used. Spirits that were just unlucky or tragically passed away haunt the location. These sightings serve as clues, extra information, or, just exist to spook the player. The game does this so naturally though, that it actually creates a fresh feel for the horror genre. The game also includes some common Role-Playing Game elements. While there isn’t a heavy focus on these elements, it is definitely an important component of gameplay. Especially, when it comes to facing off against the main boss spirits. These spirits are not only powerful, but their physical manifestations are both frightening and dangerous. The battles against them often take up to three rounds, meaning that players have to use all the clues they gathered prior to facing the spirit and defeat it as fast as possible. Clues are often items that are closely related to the main spirit, or simply hints recorded in the spirit file. Players can either run through the game with little exploration or put in some time (and spooks) find clues and properly face-off against the main spirit. Partners are required to face these malevolent beings and knowing how to combo the right items is a must. Comboing the right items together is what determines the ending you receive. Separated between a good and a normal ending, players have the final say in how the fight between the spirit can go down. Overall Score: 10.0 Out of 10 A horror game that is truly great. The game brings with it the atmospheric elements of horror without overusing them. While also combining RPG elements to enhance the horror and create a strong vision for the story. The story itself is enjoyable and intriguing. I felt that it kept a strong quality pace throughout. 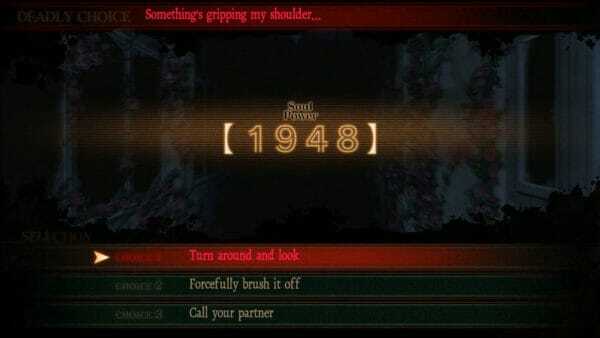 Not to mention, it gives a refreshing take on horror in a visual novel. Becoming an excellent example of how horror games should be crafted. This is a horror masterpiece that I highly recommend for all players looking for a little spook in their life.